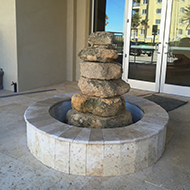 Alpha Natural Stones Plus is the right choice when you need a fountain installation in Jacksonville, FL. 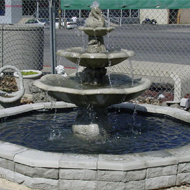 Our fountain install professionals have the knowledge and expertise necessary to install your fountain correctly the first time, so you don't have to worry. We have over 25 years of experience installing hardscaping features for our valued clients, so we know how to get the job done right. 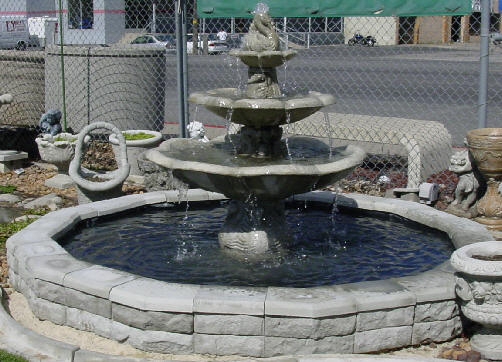 Our commitment to excellence and customer satisfaction has made us a premier local fountain installation company. Having a fountain or waterfall installed in your yard, is also the perfect time to look into our wide range of patio services. 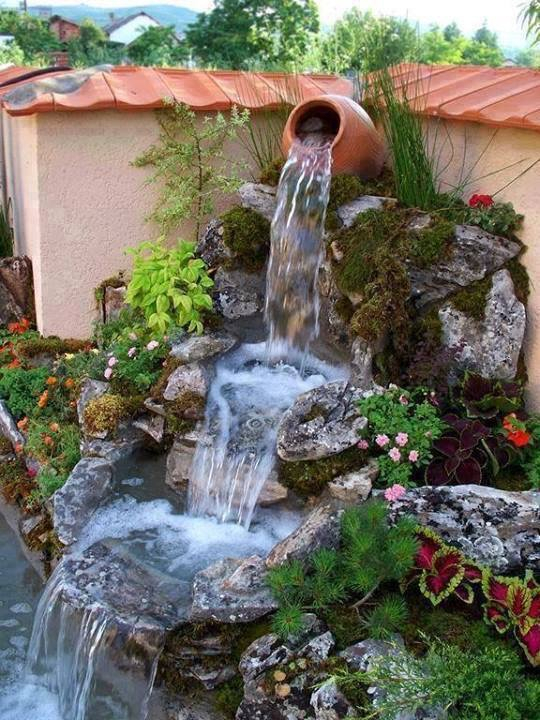 You may be on the fence about having a waterfall or fountain installed. If so, please bear in mind that our company does offer free estimates. Having an estimate performed will help you decide what kind of hardscaping option is best for your yard. The only way to know whether your outdoor spaces could benefit from the addition of a waterfall or fountain is to speak with our qualified professionals. We'll discuss your landscaping vision and help you come up with a design plan that suits your tastes. Few things add to the atmosphere of an outdoor area in the same way that a fountain does. Imagine sitting in your yard or garden and listening to the soothing sounds of water pouring and splashing, while the sunlight reflects off the water. For those who value the aesthetics of their yards, the addition of a fountain is a wonderful choice. You, your guests, and your loved ones will be able to experience the elegance of an upscale garden or palace courtyard right there in your yard. Making your yard a beautiful and relaxing space is easy with a waterfall installation from our experienced company. 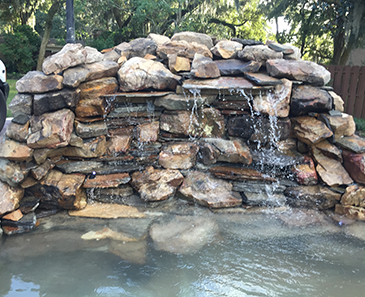 Our waterfall hardscape professionals understand how to best integrate a waterfall into your existing landscape, making it seem perfectly natural and seamless. 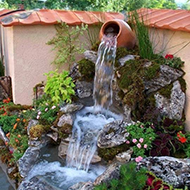 If you're looking to change your simple or plain yard more enticing and exotic, the addition of a backyard waterfall is the perfect choice. 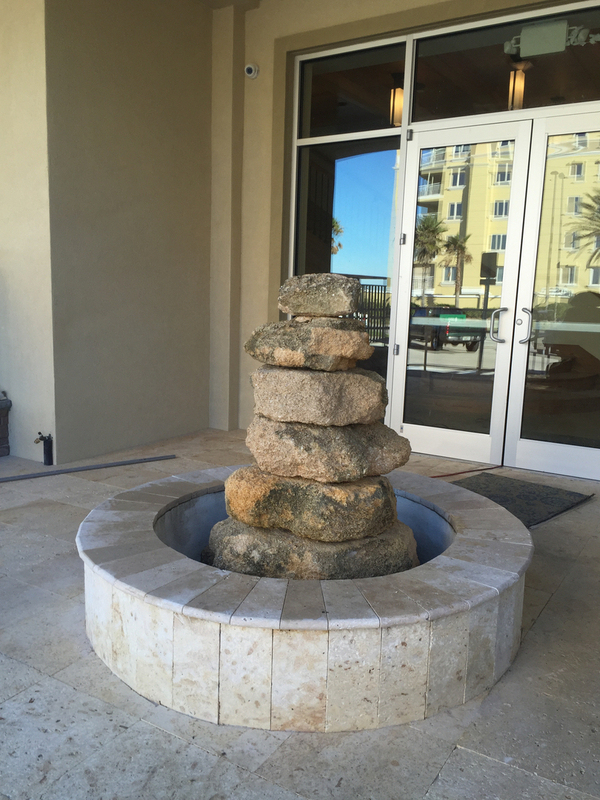 With complete waterfall design services from our friendly stone waterfall installation pros, your landscaping dreams will be realized before your eyes. 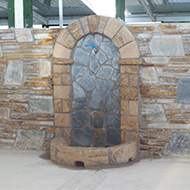 We specialize in stone motifs, so you can enjoy the timeless beauty of carved stone in your own backyard. 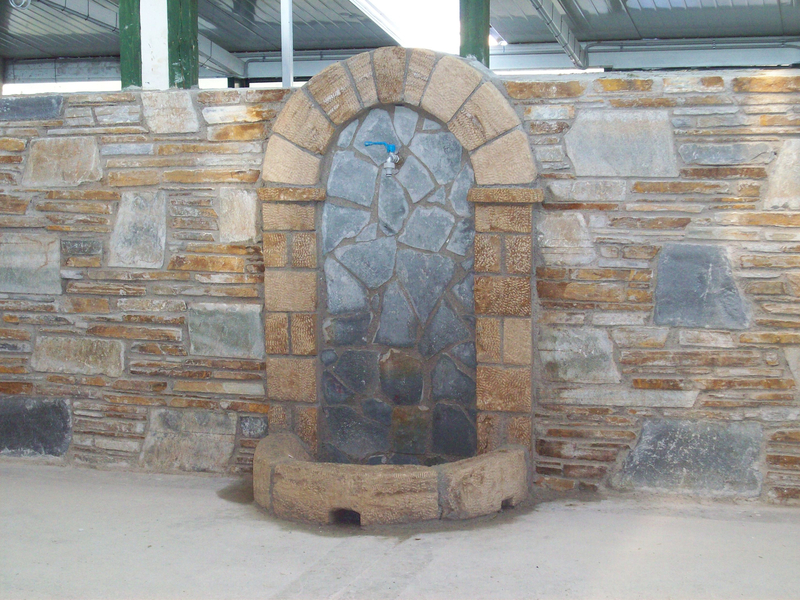 You can trust that a stone waterfall installation from our company will be performed correctly the first time, saving you money on repair and maintenance services in the end. Contact us when you need a fountain installed. We serve our customers in Jacksonville, Ponte Vedra Beach, Jacksonville Beach, Atlantic Beach, and Neptune Beach, FL.